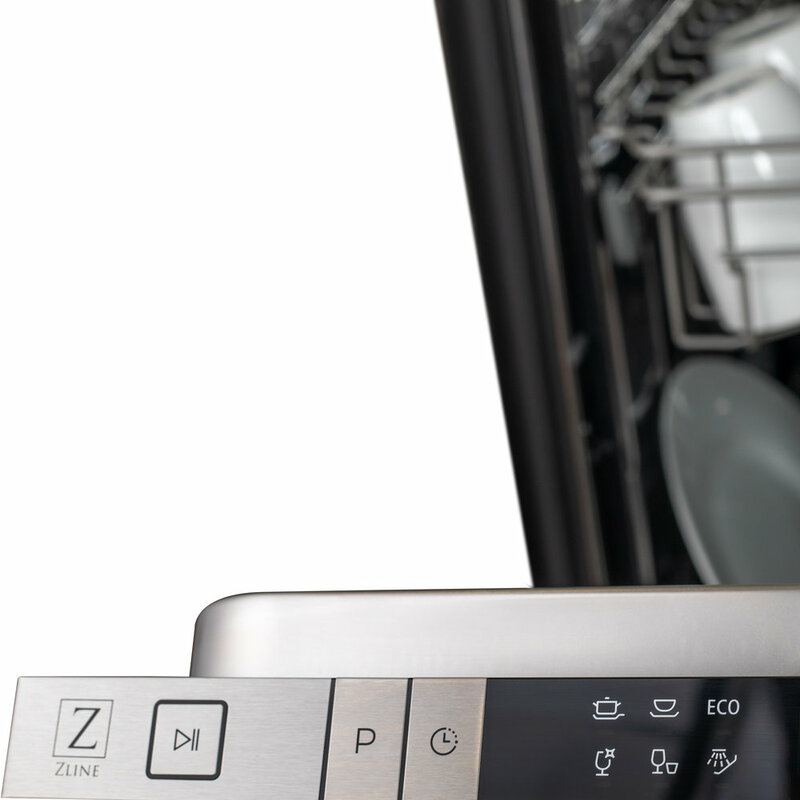 Why Choose A ZLINE dishwasher? Choosing a ZLINE Professional Dishwasher means you’ve chosen a product that is high performance, professional quality, energy conscious, and fully customizable to compliment your perfect kitchen. 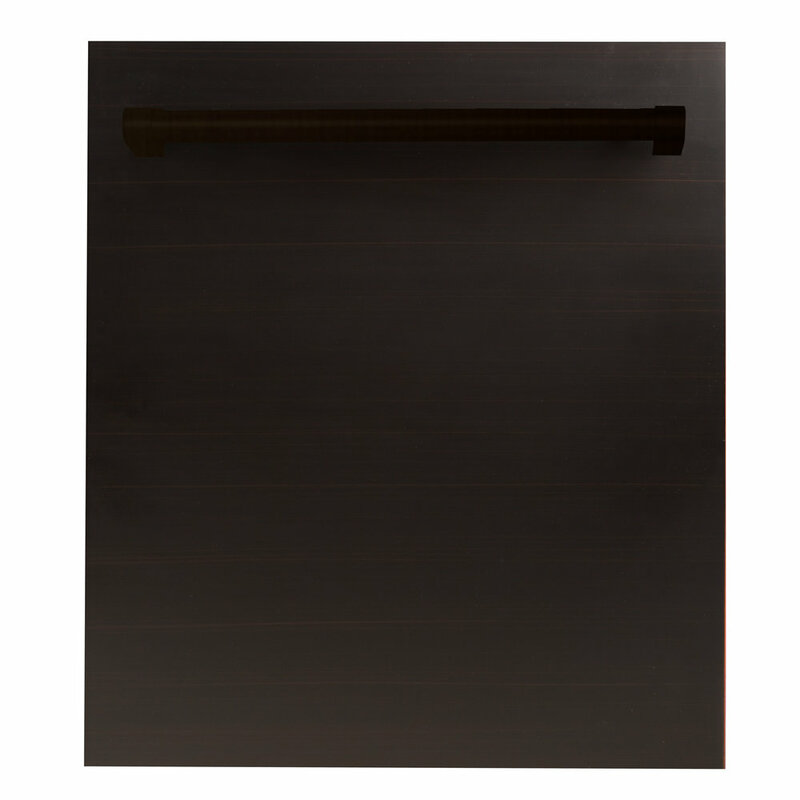 ZLINE’s 18in Panel Ready Dishwasher DW7714-18 can comfortably fit over 8 place settings. 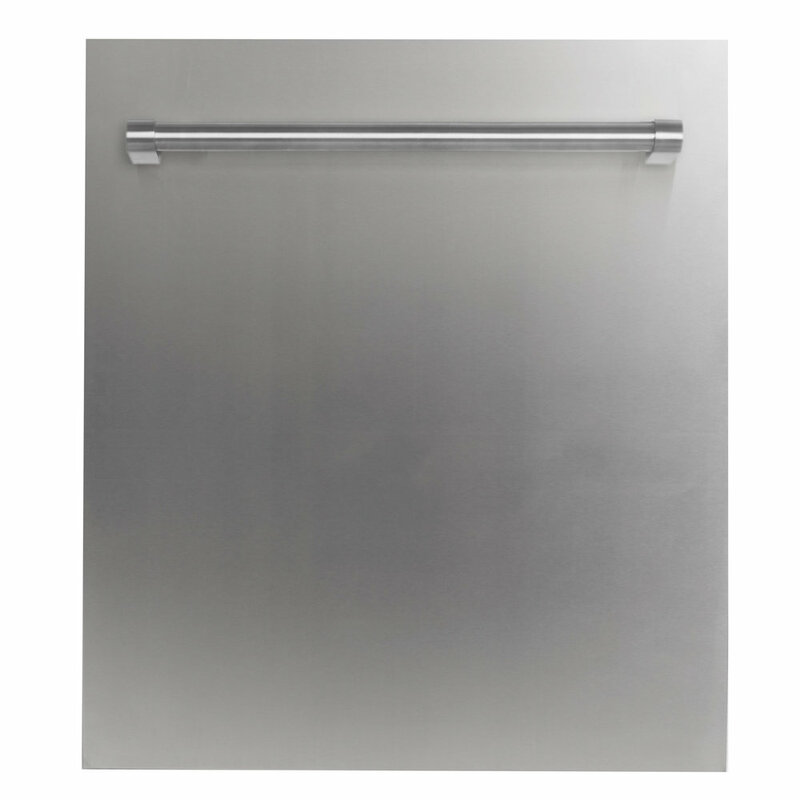 ZLINE’s 24in Panel Ready Dishwasher DW7714-24 can comfortably fit over 20 place settings. Top control panel that is only visible when the dishwasher door is open. from the custom panel, or the rest of your kitchen. Allows you to interchange the color and design of your dishwasher to adjust to the look of your kitchen. Insulation and intuitive design helps eliminate noise, so you can enjoy a peaceful kitchen. EcoWash Technology conveniently determines the most environmentally conscious cycle based on load size and soil level to reduce water consumption. o Heavy: This cycle is for hard-to-clean, heavily soiled dishes, pots and pans. o Normal: The standard wash, for regularly soiled dishes and silverware. o ECO: The most efficient program in terms of its combined energy and water consumption. Suitable for normally soiled tableware. o Glass: For lightly soiled loads, such as glasses, crystal, and fine china. o Rapid: A shorter wash for lightly soiled loads that do not need drying. that will not be washed right away. Custom ZLINE Multiple Filter System hosts three mesh filters to separate soiled water and clean water in different chambers, optimizing performance and using less water and energy. Rinse and Sanitize cycles up to with water temperatures up to156.2 degrees to eliminate bacteria and deliver the most sanitized and clean dishes every wash.